Don’t fret when you lose a follower or a liker. It is really easy for us to get caught up on the numbers side of things, and even to take it personally when our message doesn’t resonate with someone enough that they leave our flock. 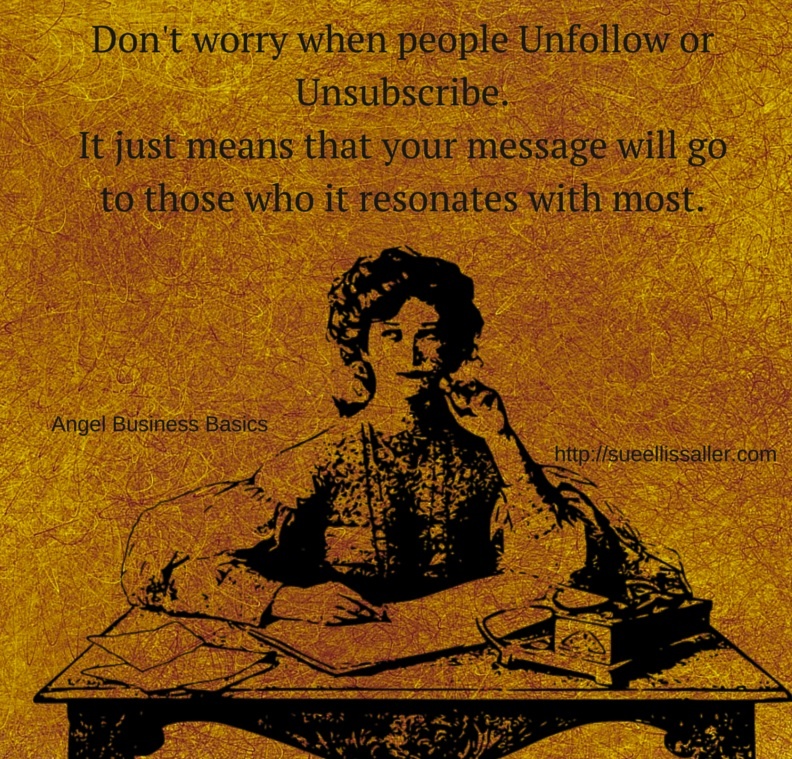 You see, when people unfollow or leave your page it is actually a GOOD thing! It allows the energy to remain positive and upbeat, and lets you know that those who are there actually benefit from what you have to offer. If a person actually likes you, then s/he is more likely to work with you. If not, then the person is just there or not even there… . Personally, I would prefer to have a thousand likers who actually like what I have to say and share than to have 10,000 who don’t. Feel free to leave a comment about how you feel about the numbers game in business marketing and social media. Great point about the people who are meant to follow and also about being open to the flow of following our own whims as advisors – and also being totally fine when our followers do the same!